This article is adapted from Gar Alperovitz’s What Then Must We Do? (Chelsea Green). Portions of the book are reprinted here with permission of the publisher. For more than three decades, Ohio has been experiencing the kind of economic pain that other parts of the country are just beginning to experience. Precisely because traditional solutions offer few answers, many other cities are exploring paths like the one that led from Youngstown to Cleveland. As the number of institutions directly concerned with the democratization of productive wealth continues to expand, innovations are occurring left and right. More than 130 million Americans—40 percent of the population—are members of cooperatives; more than 10 million participate in other forms of worker-owned companies. Predominant among the older co-ops are credit unions—essentially democratized, “one person, one vote” banks. More than 95 million Americans are involved; total assets are approximately $1 trillion. Activists have begun electing credit union board members and have long participated in “move your money” efforts, which shifted hundreds of millions of dollars away from Wall Street to credit unions and small banks in 2011 and 2012. There are also thousands of “social enterprises” that use democratized ownership to make money and achieve a broader social purpose. One of the most impressive is Pioneer Human Services, an organization based in Seattle that provides employment, job training, counseling, education and housing to people with criminal histories and issues of substance abuse. PHS now employs over 1,000 people and uses its $76 million in revenues from the businesses it created to fund social programs across the state. Among other things, PHS runs a full-service precision sheet-metal fabrication shop and produces millions of aerospace parts for companies like Boeing. Its kitchen prepares more than 1,500 meals a day for its work-release facilities and residential treatment centers. 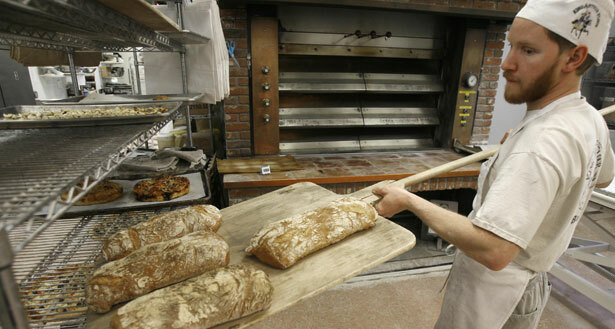 At the other end of the continent is Greyston Bakery in Yonkers, New York. Founded in 1982 by a Buddhist teacher with the modest goal of employing his students, the organization expanded its mission to provide jobs for inner-city residents. An early contract with Ben & Jerry’s opened the way to much larger development. Greyston now inhabits a modern 23,000-square-foot facility and operates several businesses and services, including a daycare center, a housing development for low-income residents with HIV/AIDS, six community gardens, counseling and support services, and a computer literacy program. By far the most common social enterprise is the traditional community development corporation. There are nearly 5,000 CDCs operating around the country. For the most part, they serve as low-income housing developers and incubators for small business. One of the most ambitious is the New Community Corporation, based in Newark, New Jersey. This large-scale neighborhood nonprofit employs roughly 600 residents and manages more than 2,000 housing units and a shopping center anchored by a major supermarket. It has $200 million in assets and an operating budget of approximately $70 million. Proceeds help support early learning centers and after-school programs, job training, a 180-bed nursing home with an adult medical daycare program and on-site delivery of medical care in several of its eight senior buildings. I could go on, but you get the idea. In a profound sense, the struggle is about changing the dominant ideological patterns. New forms of ownership are important not only on their own, but because they offer ideas about democratization that can help form the basis of a different political-economic system consistent with American ideals and experience. How far the process of “evolutionary reconstruction” will proceed—and whether it can extend to higher levels—will likely depend on the degree to which problems and pain continue to deepen, on whether folks embrace a broad institution-building strategic approach, and on whether those who do embrace it make it part of a more comprehensive new politics. The political game is beginning to resemble a checkerboard strategy: some of the squares on the board are clearly blocked, but others are open. The goal, of course, is to expand the number of squares that are receptive to democratization efforts—not just to restore economic health and sustainability in struggling communities, but to demonstrate viable alternatives to strategies that are faltering elsewhere. A key goal is to overtake the opposition by surrounding the decaying, failing states in a long-term pincer movement. § Coordination with labor unions and community activists to build and sustain momentum. A strategic plan that emerges from such efforts can also help to increase the tax base, partly offsetting taxpayer pressures and weakening the opposing coalition. Perhaps most important, it can help forge an alliance of public service workers, teachers, hospital workers and blue-collar laborers; community groups and local activists; small-business groups that benefit from a revival of local economic health; and local government officials. Obviously, none of this is easy, especially when you look at the current makeup of national politics. On the other hand, the local economic situation in many parts of the country is getting worse. It is only a matter of time before another community’s square on the checkerboard becomes receptive to a democratizing flip. Systemic change will require decades, not weeks or months, of work—and a long-term focus on the larger scale. What happens when the next financial crisis hits and we again face the impossibility of regulating banks too big to fail? Even if we break the big ones up, history suggests they will simply regroup and reconcentrate, as AT&T and elements of the old Standard Oil did in earlier eras. Ultimately, the big banks will have to be taken over. In the meantime, we should familiarize ourselves with—and develop local capacity for—public banks. The idea is already gaining ground: at this writing, twenty states have introduced legislation to establish state-owned banks modeled after the enormously successful Bank of North Dakota. A similar strategy can help tackle the national healthcare crisis. As costs keep rising and burdens increase (despite Obamacare), we can expect mounting frustration and anger, followed by increasing demands for a real alternative. Most likely, the first breakthroughs will come at the state level. More than fifteen states have already seen legislation proposing some form of a single-payer public system. Vermont is likely to establish one in 2014; California passed such legislation twice, only to have it vetoed by Arnold Schwarzenegger. The move to a national single-payer system will be long and difficult, but it is possible—and with it will come the democratization of a sector that currently represents almost a fifth of the US economy. Any ecologically serious strategy will confront the basic truth that large corporations must grow or die. This imperative undermines solutions to many national (and increasingly global) challenges. In addition to the overriding problem of global warming, countless studies show that limits to growth are fast approaching in such areas as energy, minerals, water and arable land, among others. The United States, with less than 5 percent of the global population, accounts for 21 percent of the world’s consumption of oil, 12 percent of coal and 20.5 percent of natural gas—and the projections heading toward 2050 are not promising. At some point we will have to say, Enough is enough. Former presidential adviser James Gustave Speth puts it bluntly: “For the most part, we have worked within this current system of political economy, but working within the system will not succeed in the end when what is needed is transformative change.” The large-scale institutions we build to support a more democratic and sustainable future must transcend the Wall Street–driven growth imperative. Ultimately, they must be public. History has a way of surprising us, especially in times when serious change seems impossible. The civil rights movement, the feminist movement, the gay rights movement—even the Arab Spring revolutions—all emerged without the benefit of pundit prediction. How many people anticipated in 1989 that the Berlin Wall would fall, or that within two years the Soviet Union would dissolve, or that within five years apartheid would finally end in South Africa? I am no utopian; I am a historian and political economist. I am cautious about predictions of inevitability—including the assumed inevitability, dictated from on high, that nothing fundamental about the American social fabric can ever change. It is possible that the decay will simply continue. It is also possible, however, that the pain, anger and loss of confidence in Washington will lead to something far more explosive than business-as-usual politics or even a modest renewal of liberal reform. It is our responsibility to consider how a distinctly American system based on democratized ownership might be organized. Like a picture slowly developing in a photographer’s darkroom, the elements of that “next system” are beginning to emerge. Efforts to reduce unemployment and curb inequality must be considered alongside urgent threats to the environment and democracy, write John Cavanagh and Robin Broad, in “It's the New Economy, Stupid” (Nov. 28, 2012).